Back to basics! Summer is here, fruits are in season. They are ripe, sweet and so tempting that I could not resist but to buy them. 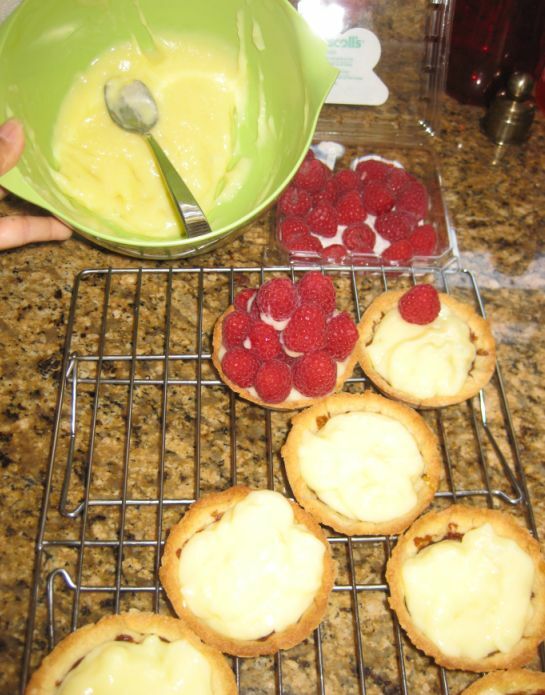 I am pairing the fruits tarts with a classic Crème pâtissière filling. 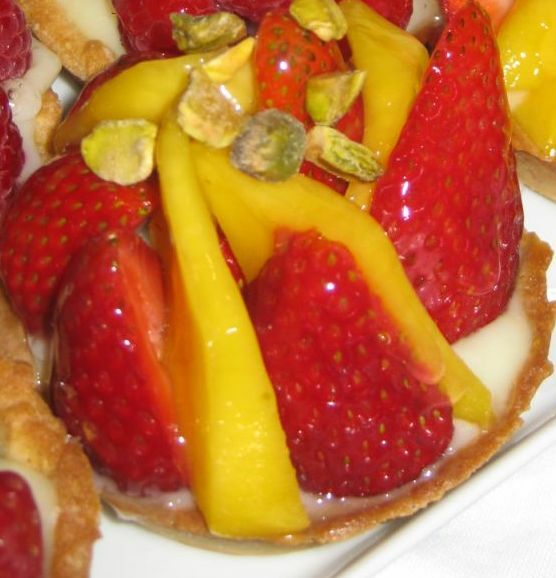 I always like fruits tarts and bringing them to a party is always a hit! 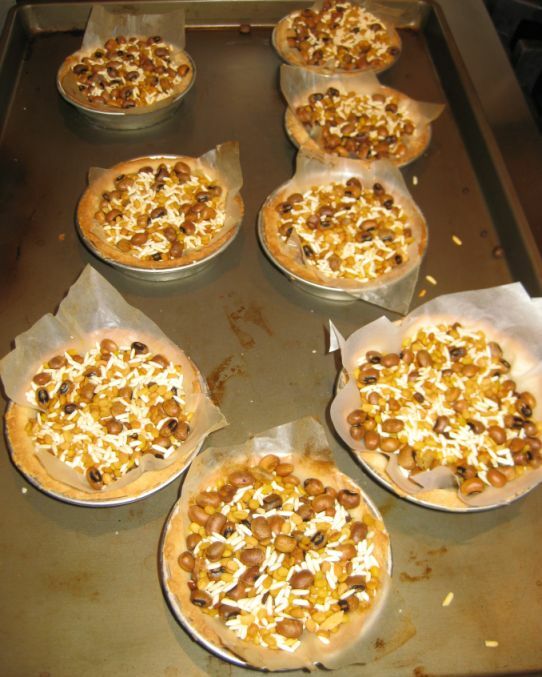 Close up look at tarts. 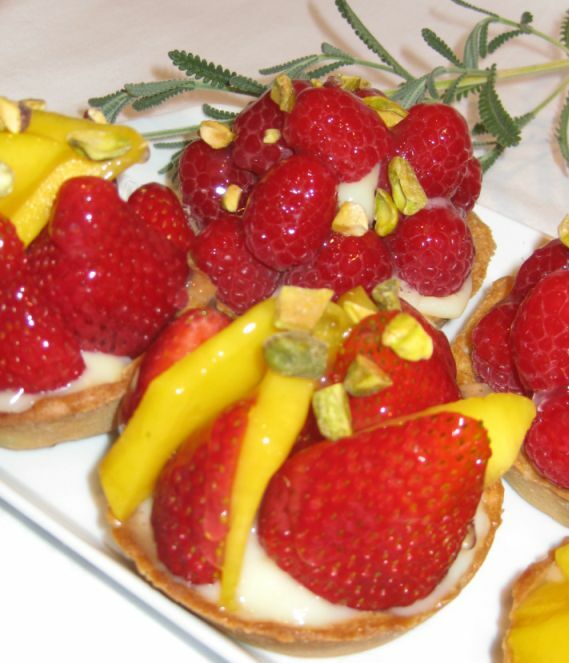 Assorted fruits: Raspberry, strawberry, mango, etc.. 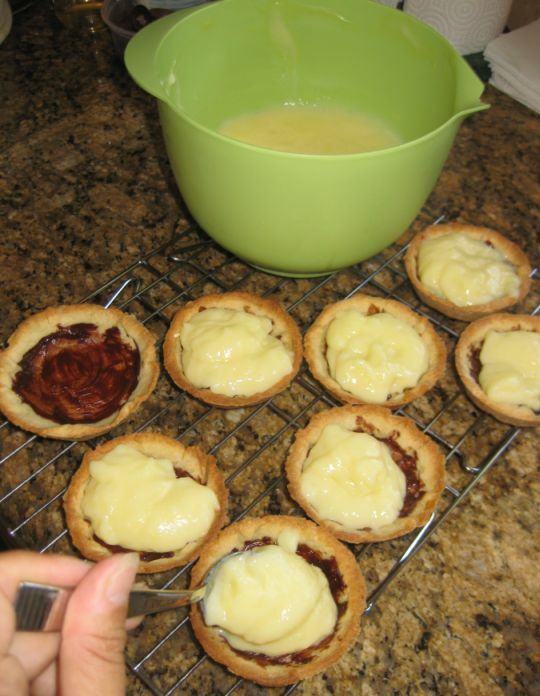 Roll out the Pate Sucrée and make it fit your mold. Put some weight on top of your dough and blind bake the dough. 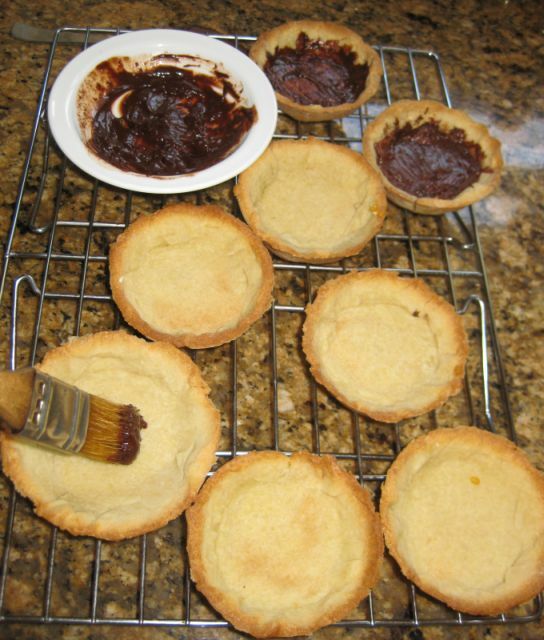 Remove the weight and brush the inside of the tart with some melted chocolate so the Crème pâtissière does not soak through the dough and make is soggy. 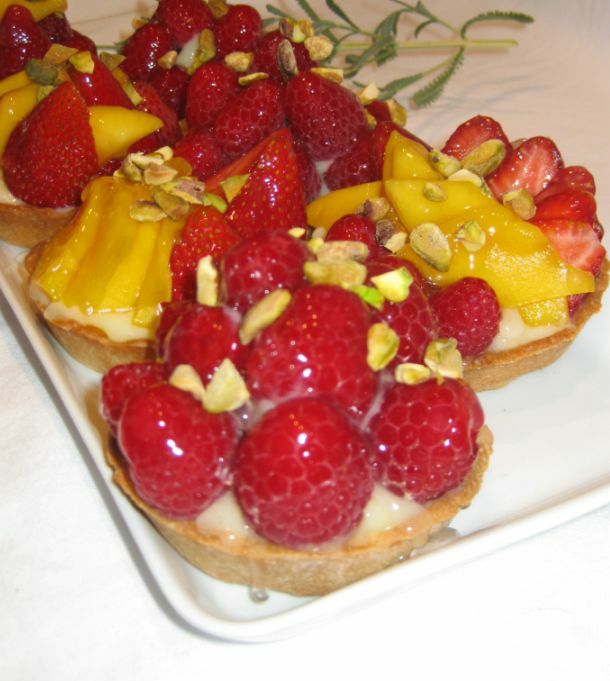 Start decoration with some fruits. 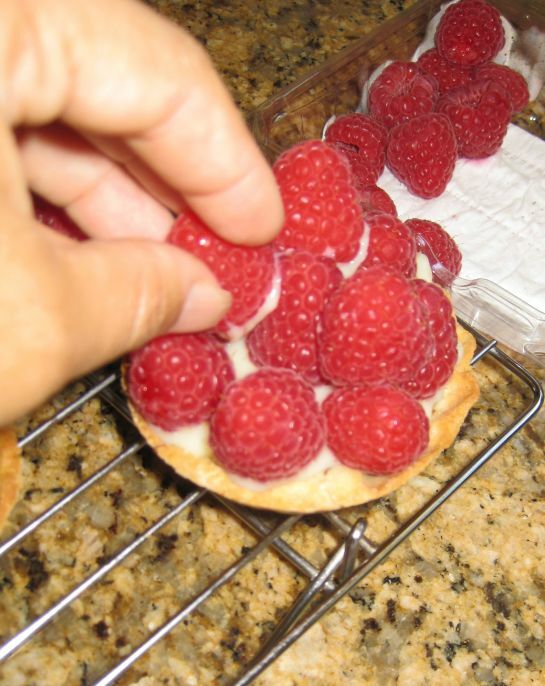 Use some Crème pâtissière inside the cavity of the raspberries so they stick together. 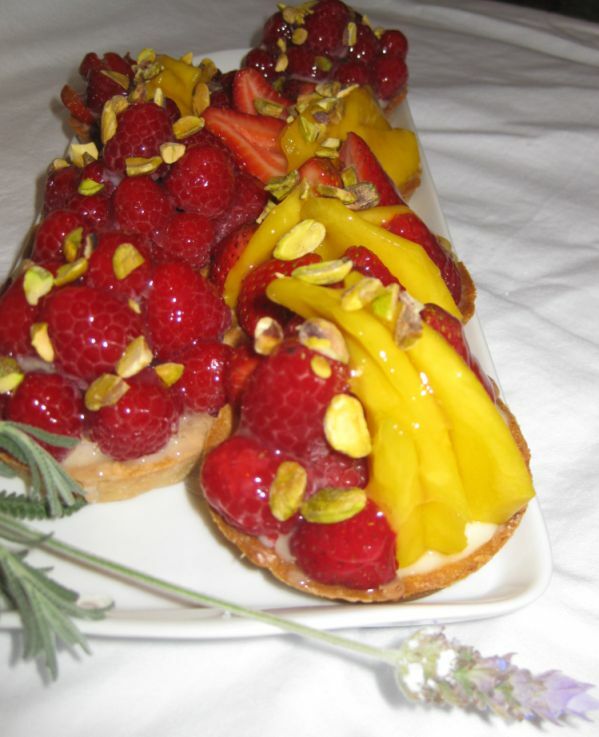 Decorate with some chopped pistachio.